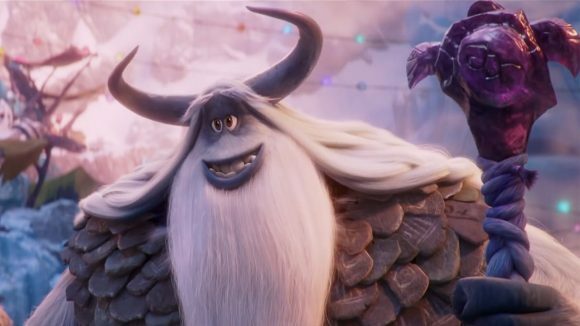 Who wouldn’t fall in love with both the small and extremely large characters in the new movie Smallfoot, a tale of Yetis with big hearts, big feet and big personalities? From Warner Bros. 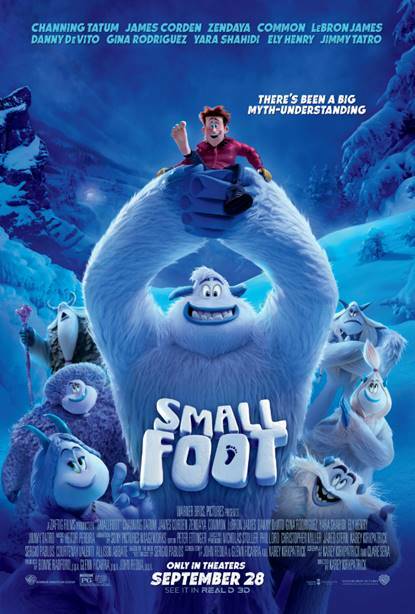 Animation Studios, Smallfoot has everything you could want in a family movie; a great deal of charm, A-list actors doing the voices, and a heart-felt tale, with numerous life lessons for both children and adults, alike. 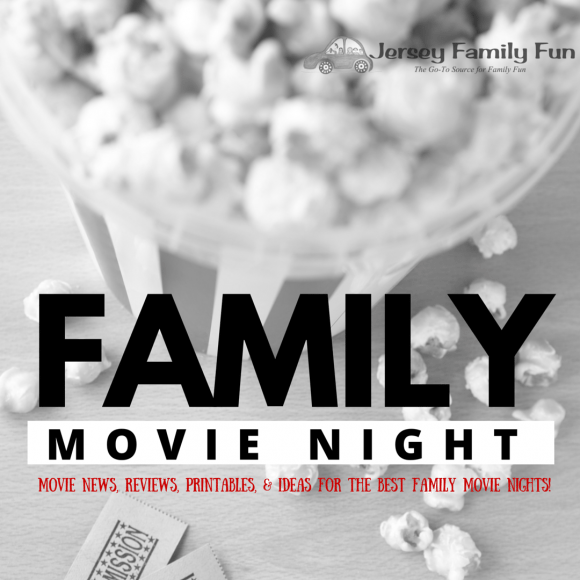 A perfect start to the fall movie season, Smallfoot, an animated feature film, opens on Friday, Sept. 28, and feels like a warm hug that can be shared with several generations of the family. Young children will instantly be endeared to the Yetis and their humorous antics, while their older siblings and their parents will enjoy the whimsical soundtrack, including Wonderful Life, an upbeat original song from actress/songstress Zendaya. She plays Meechee, a Yeti who believes in the Smallfoot, despite being the Stonekeeper’s daughter. The rest of the A-list voice cast includes LeBron James, Gina Rodriguez, Danny DeVito, James Corden, Channing Tatum, and Common. The extremely funny, sweet and charming movie follows a group of Yetis, who come across a human, with each species thinking the other was just a myth. It is a twist on well-known legends, and an endearing family tale. The story’s hero, Migo, (Channing Tatum), is a happy-go-lucky young Yeti utterly at peace with himself and his little world, when we first meet him, with no greater ambition than to take over the job as village gong-ringer when his dad retires. Most of us can identify with Migo, who oozes charm and boyish exuberance, because it is often easier to accept what you are told and trot along with life. Everything changes in this frozen world once Migo spots a downed plane in the distance and chooses to pursue it – even though he knows he does so at great risk. He is certain to completely turn the villagers’ world upside down, in his attempt to find the truth. “The Yetis run their lives by a series of laws that have been around forever,” Tatum explains. “One of the laws clearly states that there is no such thing as a Smallfoot, so when Migo tries to tell everyone about finding the plane and existence of the Smallfoot, he is told that what he experienced is just not possible.” Yet…it is. Which leads to a life-altering dilemma as Migo struggles to reconcile what he knows to be true with what is expected of him: recant the story, deny the Smallfoot and get on with his happy life, or face banishment. Since Migo would never lie, this leaves him with no other option than to try to find the elusive Smallfoot and bring it back to the village as proof. Portraying one the major roles of the Stonekeeper is the multi-talented and multi-award-winning performer known as Common. Common has high praise for his director. “Karey brings out the kid inside you. He’s creative and collaborative and has a genuine appreciation for music and film, and he uses that knowledge to activate your best performance.” Born Lonnie Corant Jaman Shuka Rasid Lynn, but better known by his stage name of Common (formerly Common Sense). He is a rapper, performer, actor, poet, film producer. Common debuted in 1992 with his album Can I Borrow a Dollar? And maintained a significant underground following in the late 1990s, which led to mainstream success. Common has won the following awards: Academy Awards, Golden Globe, Emmy and Grammy, and made his mark on several movies, including Smokin Aces, Street Kings, American Gangster, Date Night, John Wick: Chapter 2 and Happy Feet Two. Common won many awards for his original song Glory from the ground-breaking 2014 movie, Selma, in which he co-starred as Civil Rights Movement leader James Bevel. He also narrated the award-winning documentary Bouncing Cats, about one man’s efforts to improve the lives of children in Uganda through hip-hop/b-boy culture. He starred as Elam Ferguson on the AMC western television series Hell on Wheels. In Smallfoot, Common’s character of the Stonekeeper is not a villain in the usual sense, though he does some villainous things like supporting lies and kicking Migo, the movie’s hero, out of the community. Perhaps, he is doing the wrong things for the right reasons. Kirkpatrick, the co-screenwriter/director, credits Common with bringing a level of complexity to his character. “Common’s performance brings different dimensions to the role, not only a soulfulness, but a sort of smooth, unflappable quality that keeps us from going down that role of the mustache-twirling villain.” Get to know Common from Warner Bros. Animation Studios’ Smallfoot movie better in this interview, There Is Nothing Common About Common from the Smallfoot Movie.